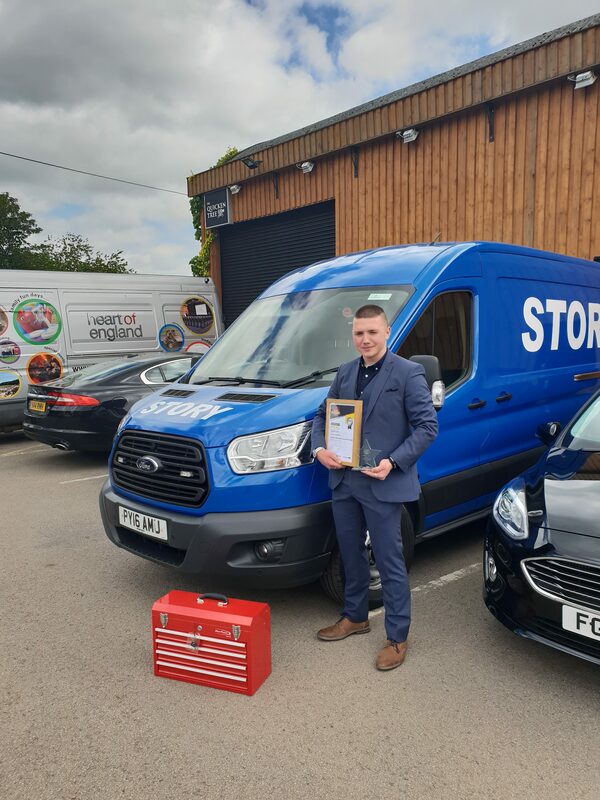 One of our apprentice fitters has been recognised nationally for his dedication and ability. 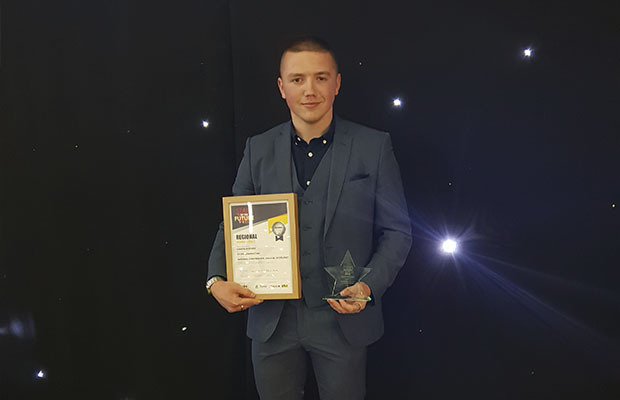 Cameron (Cammy) Evans, who works at our Bonnyrigg depot near Edinburgh, was named a Star of the Future at the Construction Plant-hire Association (CPA) awards held in Coventry. The awards scheme is for trainees in the plant-hire industry with separate prizes for Level 2 and Level 3 apprentices. They are assessed throughout the academic year on their work in college and in their work environment, with a particular emphasis on enthusiasm and commitment. Steven Miller, workshop manager at Bonnyrigg, said: “Cammy has been enthusiastic from day one and gets on really well with his colleagues. He’s willing to learn, is always on time and is always asking the right questions. Cammy, 19, was bursting with pride at winning the award. He said: “I was amazed when I won the award for Scotland. It was an honour just to be shortlisted. Cammy starts the third year of his apprenticeship with the Construction Industry Training Board at college in Glasgow this September.